Best decribed as HIGH ENERGY ROCKING JAZZ with clever compositions, edgy guitar patterns, pumping drums and driving basslines. 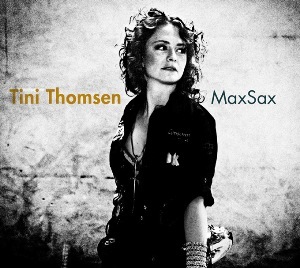 But above all it is the mindblowing sound of Tini's baritone sax. On MaxSax, her debut album as a leader, she delivers technical craftmanship comimbined with power, melody, passion and spirit.